The SGA is asking all members and owners of working dogs to respond to ECCLR Committee's call for additional rationale for introducing an exemption to allow vets to shorten the tails of working Spaniels and Hunt Point Retrievers by up to a third, in the first few days of a pup's life, in order to protect the dog from greater harm in later life. The notice asks, specifically: The Committee is interested in receiving views on the specific provisions of the draft Regulations that provide any additional rationale on whether such an exemption for tail docking of working dogs should be permitted. 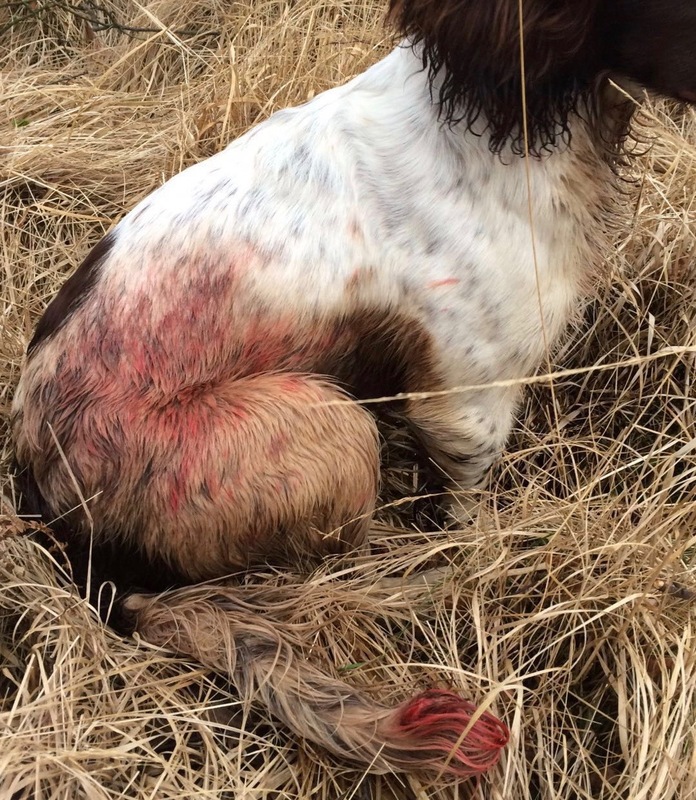 If your working dogs have experienced painful tail injury whilst working, as as result of the ban on tail shortening (see image above), please give your accounts to the Committee or if you have other experience of this issue, please take the opportunity to make your voice heard.